About 148,000 sqft will be completed in the CBD. 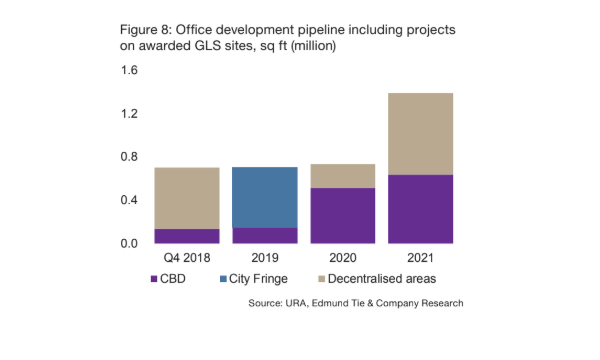 This chart from Edmund Tie & Company shows that office supply completed in 2019 could reach 704,000 sqft in 2019. In particular, 148,000 sqft of office supply is expected in the Central Business District (CBD). By 2020, the firm believes that office supply will reach 734,000 sqft of which 514,000 sqft will be in the CBD. “This is substantially lower than the annual average net absorption rate of some 946,000 sq ft over the past three years from 2016 to 2018 in the CBD,” ETCo explained. According to the firm, majority of the new supply has already been pre-committed, including the 85,000 sqft space in 139 Cecil Street. 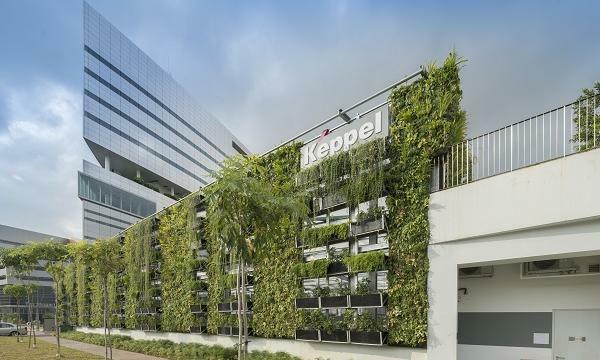 Fully leased by co-working operator Campfire Collective, the office space is expected to be completed by 2019.